It is just hard to imagine that another year is almost over. It is so unbelievable to think that time flies by so quickly. All I can think is, did I get everything done? Probably not, but tomorrow is another day, and 2012 is another year. I might get all my projects done by next year but I’m sure I’ll find that my list is still full of more projects, more goals and more life to live. Without that list, life might seem a little boring. What’s on yours? Many of our Track Shack customers come in for the first time with their bucket list. Maybe a 5k is on their list, for some it might be to lose a certain number of pounds and for others it may be to run or walk a marathon. We are genuinely excited for them. This is a new chapter in their life and they have entrusted us to help with their accomplishments. So, what’s first? Definitely, a good pair of shoes and educating each customer on why we do what we do when helping them with that purchase, what we look for. So we ask several questions. We want to know all about their list. So, shoes for sure, socks and a bra perhaps, and lots of answers. Some might like one of our books on running or walking but definitely a list of our training programs and events throughout the year. Our goal would be to help them cross something off that list. Have you ever had to adjust your list? Change your goal just a little? I’ll never forget reading about Bree, the young lady at Freedom High School who after receiving a scholarship to play soccer in college, lost her leg in a freak accident. Her coach didn’t give up on her. She’s working out daily with that soccer team, having adjusted her goals and dreams a bit, but never giving up. I’d like to grow up to be just like Bree. My own running goals have been adjusted a bit over the years and although I may not put the big miles in, I’m still running, still loving it and able to use that love to encourage others. I’m hoping to run a half marathon with my sister next year; that is what’s on her list. Thinking of a new year inspires many of us to update our lists and sometimes adjust. It is always extra busy around Track Shack as the new year approaches. We are preparing to work the Disney World Marathon weekend, we begin our new running and walking training programs and plan our first local 5k of the year. We keep talking in 2012 terms, yet our 2011 list isn’t complete. Personally, our son Chris graduates this December from FSU. Chris was born talking about being a Seminole. He always loved everything FSU and refused to even apply to any other college. Jon and I are happy to soon cross a second graduation off our list. Not that we can believe we will now be parents to two college graduates, I’m certainly not that old! 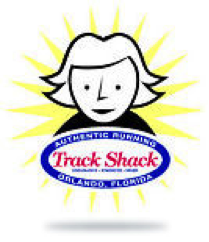 Well, maybe, maybe not…2012 is also the year Track Shack will celebrate 35 years of business! Another big anniversary is the 35th running of the OUC Half Marathon. It has been fun going through old pictures of various events as we plan all these big milestones. It never ceases to amaze us that so many of our current friends and customers are from the late 70’s and 80’s. Like us, they too have made a lifelong commitment to themselves to stay fit and active. 2012 should be the year of commitment to yourself. Your list should include taking time to take care of your own self. Exercising, even 30 minutes to one hour each day gives you another two hours of life expectancy. I think that is just amazing. Perhaps joining a program will give you some accountability to take that time to get fit. Our website is loaded with information on all our training programs including our wonderful coaches. They help with all your goals from walking your first mile to running your first marathon. Check out our Runner 101 page, and our calendar of events that includes walking, running and racing. As we plan our 35th year at Track Shack we keep you, our customer at the top of our list. It is our daily goal to make it easier and more enjoyable to help you with your own fitness commitments. We continue to find the industry’s best possible products from shoes to socks, bras, and nutrition so we can properly serve you. Are you thinking about your list yet? I’m excited to see what next year holds in store for us. Our own family dynamics continue to change. Our staff is planning many new events from running clinics to anniversary runs. Every day is a new challenge. Running and keeping fit in general is an everyday term we see now in the media. The 2012 London Olympic Games will be another historic event. Imagine the lists our Olympic hopefuls keep. Think about your list, start each day with a goal to mark something off. Remember, that first step is the key to a lifetime of fitness, whether you are our hometown Olympian Jenny Simpson or setting a goal to walk around the block for the first time. Let all of us at Track Shack help you with your list and for your personal commitment to a lifetime of fitness. See you on the roads!